Text translations are the core of our activities. We work with the best translators who have broad experience and specialist knowledge. We offer comprehensive simultaneous and consecutive interpreting services at conferences, congresses, symposiums, courses, business meetings, trade fairs and other events. We offer technical service for conferences - rental of specialist conference equipment: booths for simultaneous interpreting, a proper sound system and audio-video devices. Are you looking for a professional translation company on which you can always count and which will provide you with high quality translations in a short time and at a reasonable price? Then you have come to the right place. Your Translation Company offers comprehensive translation and interpreting services for you and your company. Here with us, you will find sworn, expert translators and you can take advantage of professional specialised translation services (including technical, medical, legal and many other fields of expertise). We can also offer you interpretation services (for conferences and other events) and we offer the rental of simultaneous interpreting booths as well as all other equipment necessary for conferences. Do you need something translated into English, German, Russian, Chinese or Arabic, or maybe Spanish? 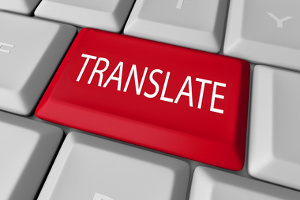 At Your Translation Company we can translate your text into any language in the world! Thanks to our experience built up throughout the years on thousands of multilingual translation projects and conferences, and confirmed by our extensive credentials and a long list of satisfied clients, we can give you the guarantee of the highest-quality reliable translations. Our highly qualified and harmonious team of the best translators and proofreaders care about the fast and timely delivery of your projects – within the shortest time frame possible. Our customer service staff takes care of everything in a friendly and professional atmosphere. Call or email us! We look forward to becoming your favourite translation agency.